Things are changing on the Tibetan Plateau. With diminishing grasslands, falling livestock prices, smaller families, and a rise in the number of children going to school, the nomads are finding it increasingly hard to continue their traditional way of life. Many are leaving the grasslands, struggling at this time of transition to keep their culture alive while also embracing the modern world. On any given day, you will find nomads herding their yaks and sheep and monks reciting their mantras. You will also find them playing one of their favorite sports—basketball. 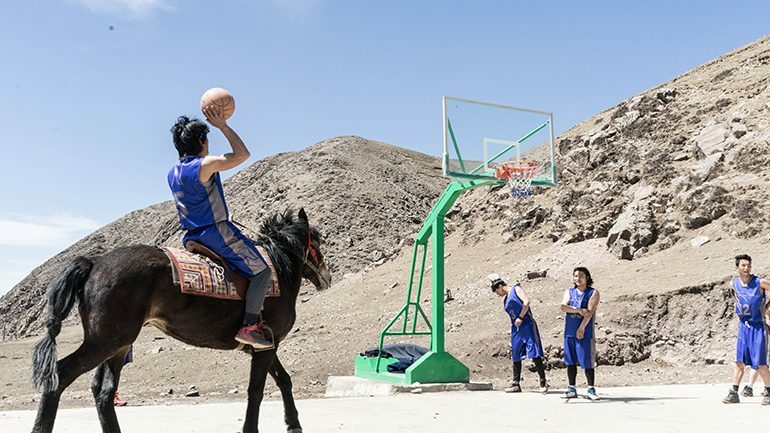 Next to traditional horseback riding, basketball has become a way for young men to work off their aggression and channel their energy. And when a proper coach arrives from the United States, slam-dunk becomes their new mantra. A new tournament has been announced, the first in their region. Can they put together a team that’s good enough to take part? Might they even be able to win?